They have been booked under various sections of the IPC and Section 66D of the Information Technology Act. NEW DELHI: The Central Bureau of Investigation (CBI) on Monday arrested eight people in relation with a fake railway recruitment scam. The agency arrested residents of various places like Agra, Lucknow, Chomu (Rajasthan), Sonepat and Delhi. They have been booked under various sections of the IPC and Section 66D of the Information Technology Act. The agency also conducted searches at eight locations and seized documents, mobile phones, cards, fake seals and cash. 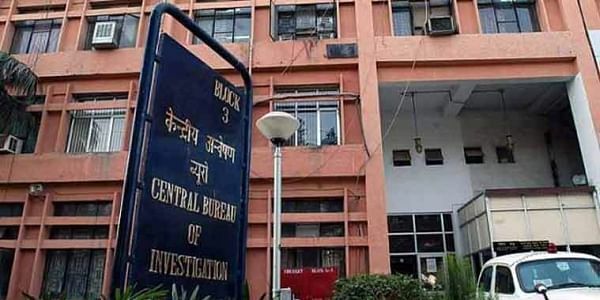 The CBI alleges that the accused used a fake website in the name of Railway Recruitment Board and also followed the same procedure as that of Indian Railway for recruitment. "The accused lured candidates mainly from Rajasthan and other states on the pretext of offering jobs in Group C and D for railways and other government organizations," a CBI official said. Elaborating on the modus operandi, the agency said that candidates were instructed to fill out applications and submit academic documents, photographs and identification proofs. "Following this, the candidates were instructed to undertake medical checkups at government hospitals and obtain medical certificates," the official said and added that results were published on the fake websites that the accused operated. The accused also collected amounts ranging from Rs 3 lakh to Rs 5 lakh from each candidate in the name of imparting training. All the accused were produced in court and have been remanded to police custody till July 26.